$120 per night (2 people). 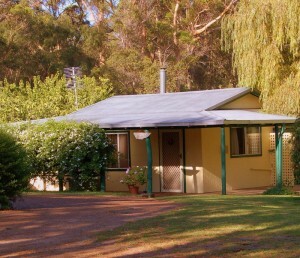 Peak season $155 per night. Extra adult $20 each. Extra Child $15 each. The Cottage has two bedrooms (1 Queen, 2 Singles and a pull out Trundle) a self contained kitchen and cosy dining room with lovely outlook. TV, DVD, including wood fire heating a separate bathroom, BBQ and an outdoor setting with covered veranda facility. 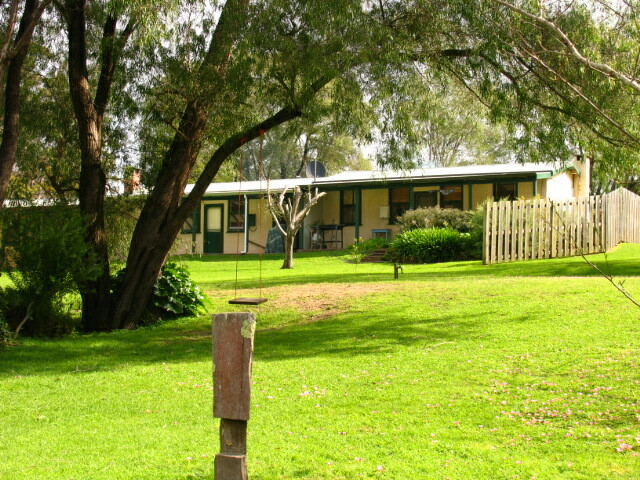 It is situated in a shady position in the caravan park with a lovely view of the surrounding area. $125.00 per night (2 people). Peak season $155 per night. The Cottage has two bedrooms (1 Queen , 1 Double & 1 bunk) a self contained kitchen and cosy dining room with lovely outlook. 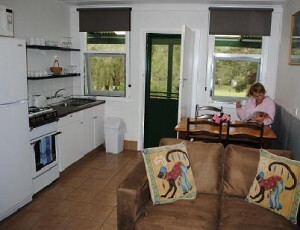 TV, DVD, including wood fire heating a separate bathroom, BBQ and an outdoor setting with covered veranda facility. 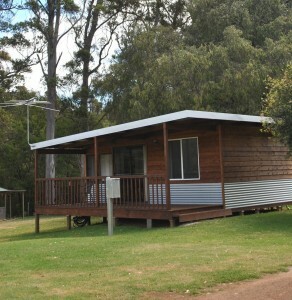 They are situated in a shady position in the caravan park with a lovely view of the surrounding area. The Cottage has two bedrooms (1 Queen & 3 Singles) a self contained kitchen and cosy dining room with lovely outlook. TV, DVD, including wood fire heating a separate bathroom, BBQ and an outdoor setting with covered veranda facility. 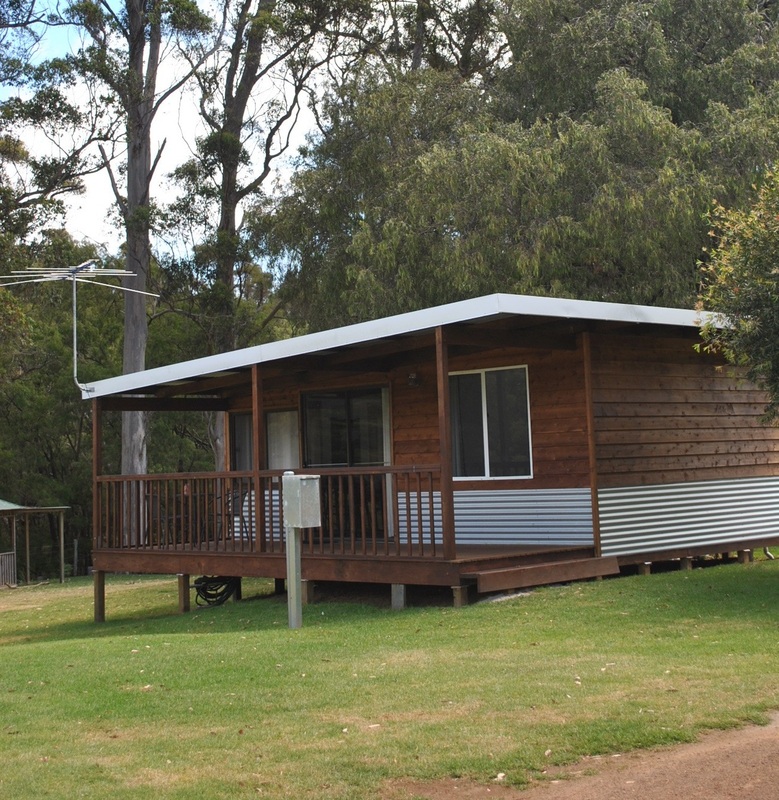 They are situated in a shady position in the caravan park with a lovely view of the surrounding area. The chalet has 2 good sized bedrooms – (1 Queen , 1 single beds & 1 bunk) a self contained kitchen and dining room with lovely outlook, TV, DVD, including wood fire heating. 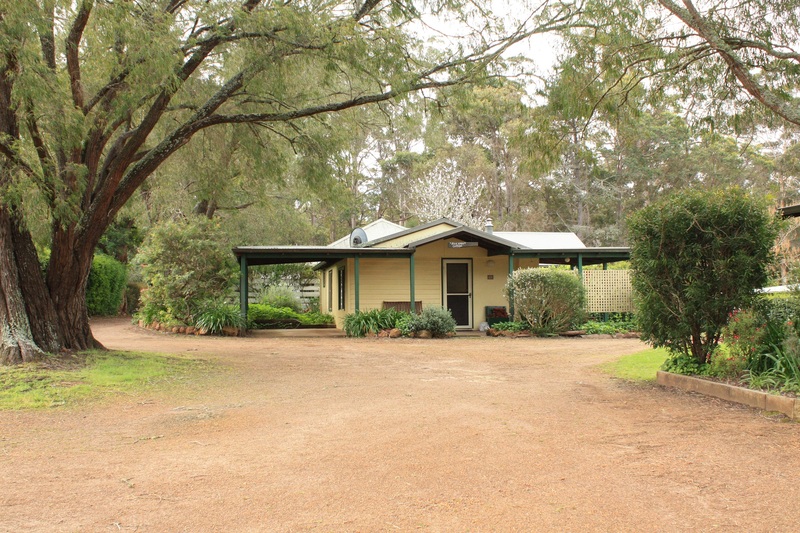 A separate bathroom, BBQ and outdoor setting with covered veranda and carport facility. 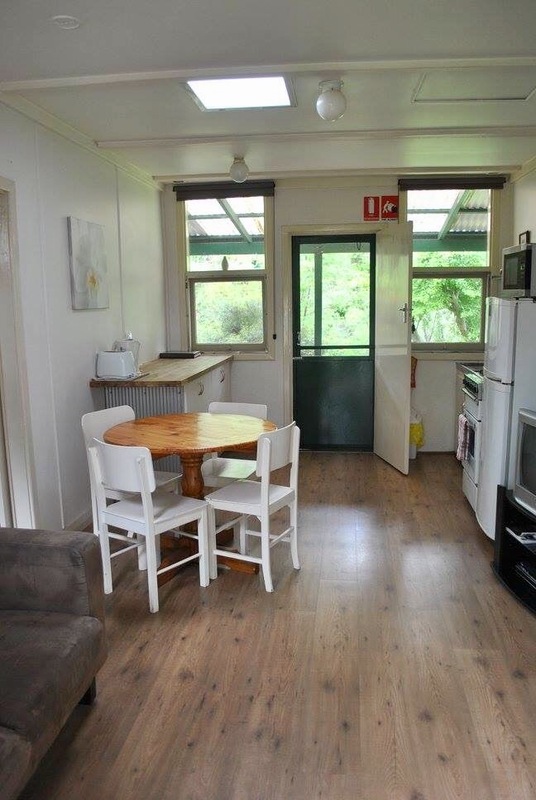 It is situated in a shady position in the caravan park with a lovely view of the surrounding area. The chalet has 3 good sized bedrooms – (1 Queen 2 bedrooms with single beds & bunk) a self contained kitchen and dining room / lounge combination. TV, DVD, including wood fire heating. 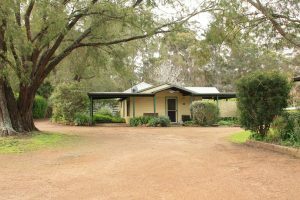 A separate bathroom and outdoor BBQ setting which is situated under a covered veranda with a lovely view of the tree lined surrounding park area. Carport facility available is also under cover. The chalet has 1 good sized bedrooms – (1 Queen) a self contained kitchen and dining room with lovely outlook, TV, DVD Player. A separate bathroom and outdoor setting with covered veranda. 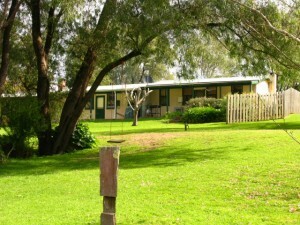 It is situated in a shady position in the caravan park with a lovely view of the surrounding area.